Wondering what to do with the kids during the winter break? Well, no need to worry. December’s Museum Stories calendar has lots of fun things to do in Los Angeles with kids during the holidays. It includes a complete listing of all the family events offered at L.A.’s major art and cultural museums. Here are some of this month’s festive highlights. Families of all backgrounds can join the fun at the Skirball’s Hanukkah Family Festival (Dec. 11). At the Huntington, families can hear a lively theatrical reading of Charles Dickens’ classic tale A Christmas Carol (Dec. 10). The Kidspace Children’s Museum even has an early, kid-friendly, way to celebrate New Year’s Eve (Dec. 31) with their “Noon” Year’s Eve Balloon Drop and festivities. For more details on New Year’s 2011 weekend museum activities for kids and grown-ups see my latest post. Weekend kids workshops abound in December. For holiday activities, children can write and perform their holiday songs at the Hammer (Dec. 4), create year-end memory books at the Craft and Folk Art Museum (Dec. 10), and make holiday ceramics with artist Peter Shire at the Santa Monica Museum of Art (Dec. 17). Other kids workshops include Paper Fashion at the Fowler (Dec. 4), Head of Fashion at the Norton Simon (Dec. 9), and Holiday Flower Arranging at the Huntington (Dec. 17). Is your child a wanna be rocket scientist? Then don’t miss Rockets Rock! at the Huntington (Dec 17), a workshop taught by a real aerospace educator. Families can explore the art of storytelling at these weekend events. December marks the 1st Annual Storytelling Festival at the Museum of Latin American Art (Dec 18). This family festival features a fun-filled mix of Latin American traditions and activities, from traditional holiday stories to Tango and Aztec dance performances. 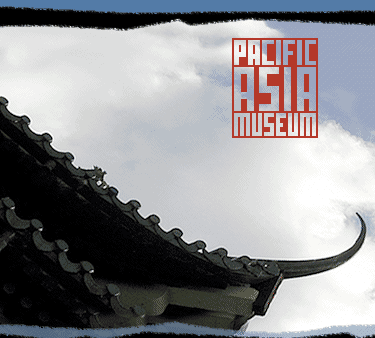 Children can gather under the Traveler’s Tent at the Pacific Asia Museum (Dec. 3) to hear stories from Japan about the Silk Road, or hear the story of the Shoemaker’s Workshop at the Norton Simon (Dec. 4 & Dec. 18) and construct and decorate a pair of Dutch clogs. There are plenty of weekday kids activities during winter break too. Several museums are extending their hours and their weekday family offerings. The Getty Center Museum has weekday Family Art Stop gallery activity tours (December 20-30), and the Skirball has a Winter Drop-in Art Studio loaded with creative projects for children of all ages (December 20-31). Note both museums are closed Dec 25-26. For kids who love to play in snow, there are Snow Days in Pasadena. That’s right, Kidspace is trucking in real snow just for the holidays on December 26-28th. For indoor activities, don’t forget about these awesome museum family activity spaces; the Getty’ Center’s Family Room, Getty Villa’s Family Forum, LACMA’s Boone Children’s Gallery, and the Skirball’s Noah’s Ark. The Kidspace and Zimmer Children’s Museums are also happy havens for interactive learning and exploration. All are open most weekdays and are great for active youngsters, especially on cold winter days. 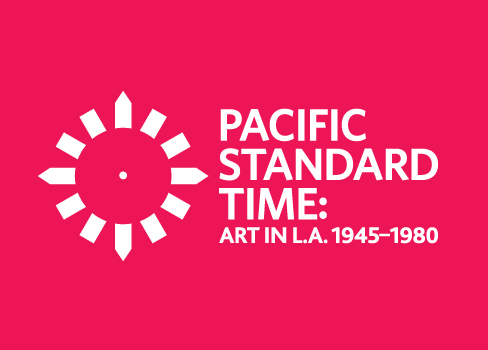 Winter vacation is a great opportunity for families to see Pacific Standard Time (PST) art exhibitions around town. The Getty Museum’s Crosscurrents and LACMA’s California Design exhibitions are two of our favorites. Both exhibitions have a diverse array of objects illustrating the birth of the L.A. art scene — from a small resin Cloud Box at the Getty to a huge Airstream Trailer at LACMA — that will engage and inspire kids and parents alike. Museums can get hectic this time of year. So be sure to plan your holiday museum adventures ahead of time. And if you like this calendar subscribe (click above) and share it with your friends. Below you’ll find detailed listings of all December kids activities sorted by museum names. Happy Holidays! $5 fee. CAFAM Family/Dual passport members free. Free. Space limited. Sign-up begins at 3 pm. A place for families to draw, build, read, and play together (see earlier post). Space limited. Sign-up begins 15 minutes before tour. including 3D puzzles, vase decorating, and shadow-play Greek theater props. Reservations required for museum admission. Kids learn songwriting techniques and create their own holiday songs and impromptu concert. A festive theatrical reading of the Dickens’ classic A Christmas Carol by the Independent Shakespeare Co. Kids learn about space exploration and create their own model rockets. Professional floral designers, Flower Duet, teach kids how to create holiday flower arrangements with marshmallow accents. $6 fee plus museum admission. Registration required. Kids learn about recycling and make new toys out of recycled parts. SNOW DAYS: Snow in Pasadena! Free tickets required — available at museum box office. Families explore Latin American storytelling. Activities include holiday stories, poetry, art workshops, and Aztec dance performances. Families explore the Shoemaker’s Shop painting, listen to the Shoemaker the Elves story, and make traditional dutch clogs. Families explore the Portrait of Lambert de Vermont painting and create fancy paper wigs. This month it’s tales from Japan in the traveler’s tent, plus hands-on activities, Asian snack, and balloon. Families make unique and lucky ceramic talisman for the New Year. Workshop led by artist Peter Shire of Echo Park Pottery West. Fees $5-$9. Free to SMMoA members. Space and quantities limited. Kids engage in creative projects incorporating recycled materials. All ages. Included with admission, no reservations. Daily December 20-December 31 (closed December 25 & 26). Celebrate Hanukkah at this all day festival including live performances, storytelling, dancing, and art workshops. Families of all backgrounds welcome. Tickets $5-$10 available online or on site, free to members. Families can climb, build, explore, and make art together. Daily (closed Monday). Special admission fee required. Free to Members and Children under 2. Free to all visitors on Thursdays. Advance tickets recommended weekends, Thursdays, and school holidays. Posted in Calendar Picks. Tagged as children, family activities, holiday family events, kids art activities, kids storytelling, Los Angeles, Museums, things to do in L.A.